The Big Cheese of Dad Blogging. Love this stuff. Sometimes I miss the old blogosphere where it felt like people were blogging because they wanted to share stories or because they loved writing. I miss the days where we didn’t spend time worrying about whether we had built Facebook pages, Twitter followings and G+ outposts.Â You didn’t feel badly if you weren’t picked as one of the Top 198 pickle bloggers, weren’t asked to be a keynote speaker at a blog conference or didn’t get pitched by Porsche to test drive their cars. 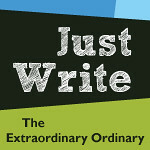 You just got to write for the joy of writing and for the love of sharing good stories. You enjoyed the camaraderie of others who knew we weren’t a bunch of losers living their mother’s basements. Time moves on and what once was is no more and that is ok. It is not just ok because we all have to adjust but because there are good things that come with the changes. There are new friendships and opportunities that draw our attention. The kids and I talk about this often and how to roll with the changes that we face. It is funny to me because I don’t think of myself as being particularly adept at dealing with change but when I flip through the pages of the blog I see my impression isn’t entirely accurate. I am much better at this than I realized and that realization is part of what I love about blogging. It is not just about the joy of writing or the friendships but of learning about ourselves and growth. It feels rich and rewarding. My son is going to be Bar Mitzvahed in December. It throws me and makes me smile at the same time. That kid is a huge part of why I am a blogger. When I started he was a toddler and an only child and life was so very different from now. Different doesn’t mean better either, it was just different, albeit easier in some ways. But time passes and things change and now the toddler is a preteen who has a little sister who has lit up all of our lives. She has no bigger hero than her older brother but that doesn’t stop her from screaming at him from time to time or change the pride I feel when I see them playing together. They have their own world and own relationship that are separate from the rest of us and it is a joyful thing. Those old posts in the archives touch upon some of that and make mention of the magic I felt then but they don’t have the same touch as the ones I write now. Sometimes I read them and think I was a better writer then and sometimes I read them and wonder why people paid attention to such awful stuff. Most of the time I don’t pay any attention to any of it and just come out here to write for the joy of writing because this is the present and it is where my primary focus has to be. Just write baby, just write. That is a great gift for your children. It is one of the reasons I blog as well. This is a great way to chronicle the lives of our kids and to give them something that they can use to learn more about who we are and what we are like during certain periods of our lives. I wish I could have started blogging in those days. As a matter of fact, I am about to just embark on my writing and blogging journey and it is a big intimidating to do so amidst so much noise. But at the end of the day whether I get traffic or not I hope that what continues motivating me is not the extent of my audience or followers but the simply joy of writing and improving my craft. My unsolicited advice is to not worry about it and just go for it. Write your heart out and enjoy– it is worth it. Thank you Jack. Sorry for the typos earlier, I was on my phone. Thanks again for the advice. I wrote a similar blog post about this topic recently. As someone who’s been blogging for close to a decade, through various platforms, it’s hard to watch “real life” blogging get lost in the scramble for stats and recognition. But the people who are good will always be good for exactly the reason you described: they write because the love it. It is nice to meet you. I agree, good people will remain good because the love they feel will keep them going in the right direction, whichever way that may be. I have certainly seen those changes since I first started blogging! I wasn’t on Twitter or Facebook, and Google + didn’t even exist! (At least I don’t think it did!) It is so much fun to go back and read what I wrote about my kids when they were younger. I love the historical components of our blogs. It is fun to go back and have a written snapshot of time we can refer to. Loved the Vlog you did today. Man. I really do and have since I met you the first time two years ago… On Jan. 31st Alaska Chick’s Blog will celebrate (that would be me, me and my little friend, me) our 3rd birthday. My outlook tends to be a little “much” for some, too, at times. I figure when you’ve beat “Death” as many times as I have, I am qualified to point out the blessings and having you all in my life today is a huge blessing. You each, in your own ways, teaching and guiding me, making me a better …everything, including being a mom. Happy early Blogiversary. Three years is worth celebrating, a lot of folks don’t ever come close to making it that far. It is always nice to see you here and read about about your exploits. Your blog and your work make me smile. It is a mutual fan fest. Ann Bevans (who is a BRILLIANT writer and whom I adore) wrote something similar recently – just write. And that is advice I have to take to heart, since I have NOT been writing regularly (as you know). So thank you. I loved this post. I am so glad. I have to imagine that you came back from India with more stories and more ideas than you know what to do with. Might be kind of fun to share a few. I’ve come to love writing…and hate my old stuff, too! There is just joy in putting pen to paper and letting the words flow. This is just the post I needed to see… “Just write baby, just write” LOVE THAT! Thank you for inspiration, Jack! I am glad you like it. I really believe in “just writing.” When we let go and stop worrying good things happen. Very wise indeed. A few days back a fellow blogger thanked me for reading his post and then asked me “Did you share it around? On all the platforms, there are buttons everywhere you know” Well, stop pushing my buttons! The need for popularity on social media platforms is somehow beating everything else up. Popularity isn’t all it is cracked up to be. I’m going to heed this advice. I love it. It’s way more fun when you don’t have to worry about all that extra stuff. I don’t know about you but when I write for fun it helps feed my creativity and it translates into positive benefits for business. It just recharges my batteries. I love this post – words of wisdom. Write for the joy of writing, not for anything else. I need to remember this more often. Thank you for sharing. I am glad you enjoyed this. The joy of writing and wonder of words is the secret sauce or at least I think so. I have been craving the old days myself. I actually bought a new domain to start a second blog on writing itself, and to focus less on marketing long term. It’s good for business, but not always the soul. That sounds great. It is important to find those things that make our souls sing, helps to recharge our batteries so that we can do more on the business side. You get credit for helping to inspire this post. Our email exchange made me realize this just had to be written. Yes. Just Write. I find myself not only trying to keep the inner critic quiet these (blogging) days but also having a hard time staying focused on the writing for as long, because there is SO. MUCH. ELSE. out there. I want my words to be what makes me thrive. Not my Twitter feed or any other social equivalents. On the other hand, I’m not ready to give up some of the great connections I’ve made. And so, thank goodness for Tuesdays and Just Write. Sounds like we are in a similar space. That inner critic likes to yap and yammer so it takes a bit of doing to shut them up, but it seems to become easier with practice. Some people say balance it a dream, but I think we can find a place between writing and the other platforms. I kind of wish I could go back to those days when stats and numbers didn’t matter. I can certainly choose to not let these matter – the question then becomes why don’t I? Moving through change is learned and parenting is one way you can learn it. Change can be good or bad – it’s all in how you choose to look at it. I choose to see change as necessary for growth. You certainly don’t have to do what ‘everyone else’ is doing but adding little things, like your FB page for your blog can be a good thing. It can introduce you to more of your audience as well as inspire new writing projects. It is easy to get caught up in the stats. I figure it all depends on what you want/need from our blogs. I have had a lot of fun adding bits and pieces to my “social media empire.” I enjoy learning so that has been good. Appreciate your visiting and hope you come by again.